Are you tired of a lifeless yard around your home? Does your office building need a landscape makeover? Look no further. The experts at Krob Landscape are able to transform your grassy knoll into an outdoor paradise. We at Krob Landscape specialize in Landscape Maintenance, Landscape Installation, and Landscape Design in Daphne, AL and Baldwin County. Our experts are also skilled in sod preparation, sod installation, landscape management, Rock and boulder layout, Stone walks & walls, tree pruning, excavation and bush hogging. There is no job too big or too small. The team of landscapers at Krob Landscape are the most highly experienced and skilled landscape designers in the industry. They use the most up-to-date equipment in the business and have a keen eye for knowing how to best transform your space. 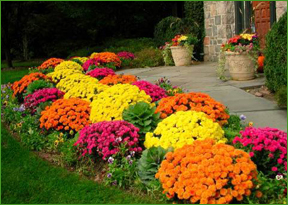 We at Krob Landscape strive to keep Alabama beautiful by providing both residential and commercial landscaping. Call Krob Landscape or check out our website, for information regarding your landscaping project. Whether you need a new backyard patio, front yard landscaping or a garden paradise, we at Krob Landscape are here for all your landscape design needs.